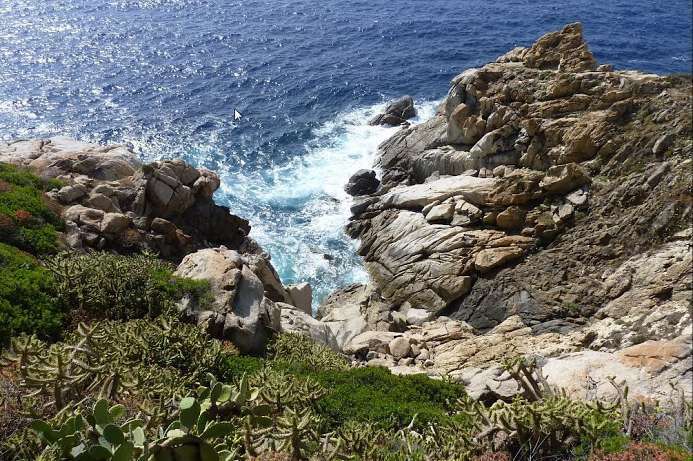 The Costa Rei extends from Villasimius to Muravera on the southeast coast of Sardinia. At the heart of the Costa Rei is a beautiful, 10-km long beach. The lakes in the interior are home to rare bird species. 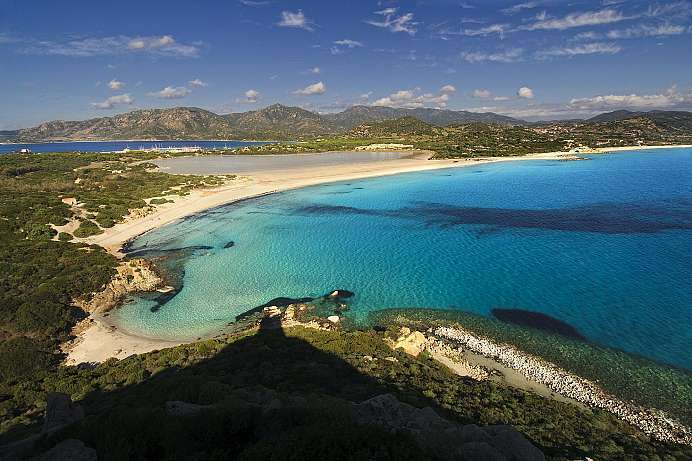 Although this section of the coastline has seen much tourist development, the unspoiled beach is still considered one of the best in Sardinia. The Capo Ferrato at the north end of the Costa Rei is a protected nature reserve. South of Villasimius an elongated peninsula protrudes into the sea, with its southernmost point being the Cape Carbonara. Although the Cape and the local lighthouse belong to a military zone which may not be entered, the surroundings boast a great scenery and are definitely worth a visit. Above a one kilometer long stretch of beach stands the Spanish Saracen tower. The cape with its rocky coast defines the Costa Rei in the north. Coming here is worthwhile especially during summer, when the beaches further south are besieged by tourists. Small coves are dotted along the varied coastline which are excellent for snorkeling. Some gravel tracks lead north and lend themselves for short hikes. On the eastern headland stands a lighthouse.